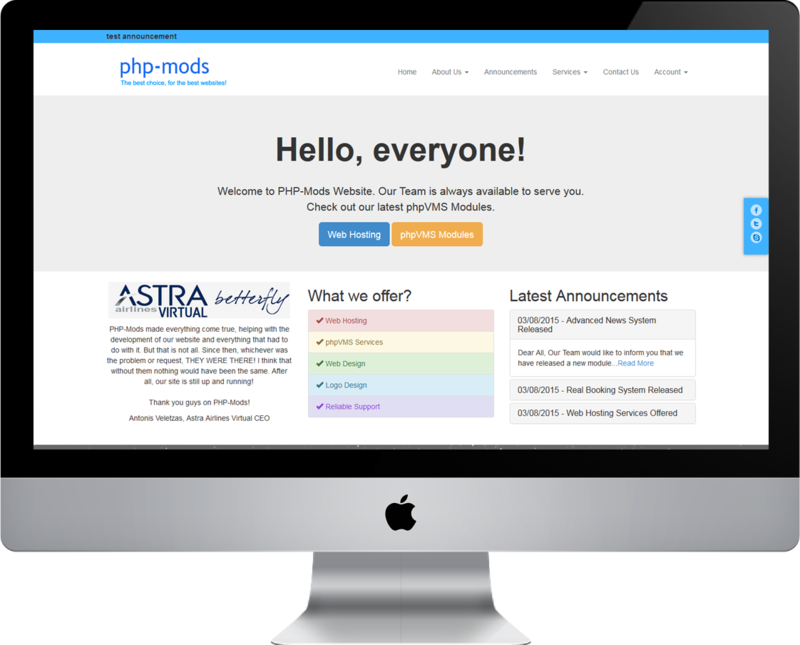 PHP-Mods is a fast growing company in the web services industry and especially in the virtual airlines industry. Founded in 2012, PHP-Mods has offered a wide range of services to its clients. Our Team offers the best solutions based on our client's standards even if it has to do with a business or a personal website. Since its formation, PHP-Mods has focused on making web services accesible by everyibe, regardless of technical knowledge. Our main goal is to offer reliable services and support to all our clients. In PHP-Mods, clients are not just numbers. We are here to get to know you and your needs. Support is being offered via support tickets, emails and Skype. More information about our recent projects, can be found on our clients page. Get in touch with us today and we will do the best to assist you.